Note: Many thanks to RunninGreece for their help with this guide! We encourage you to enjoy one of their wonderful running tours. Athens, Greece, the ‘city of intellect’, is part of the Attica basin situated at the south-eastern tip of the Greek mainland. 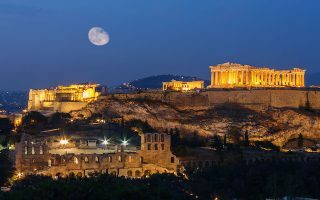 The city of Athens is the capital of Greece and it is the heart of the country — an economic and industrial, as well as political and cultural centre. Athens is considered the intellectual and artistic centre of Greece, a ‘jewel’ of the ancient world. It is the city where mankind’s most precious and most significant moral values were founded. 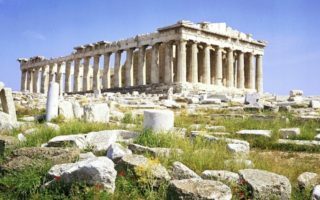 Philosophy, science, literature, art and drama are just some of the concepts born in ancient Athens. Democracy, freedom, justice and forward thinking are ideals conceived in this great city and which constitute the core principles of western civilization and our society today. 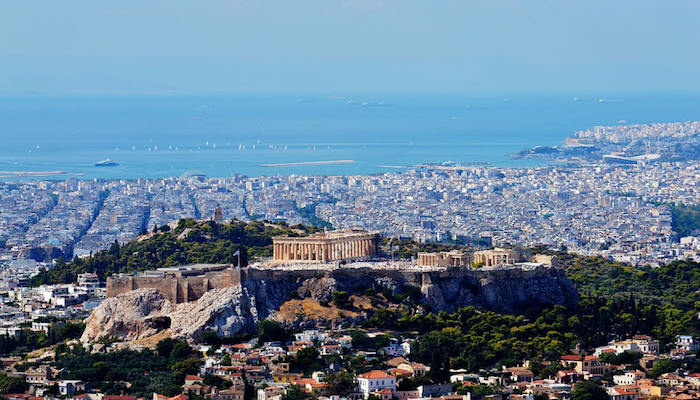 The major part of Ancient Greek History is directly associated with the city of Athens. There is some great running in Athens. We include a ‘runseeing’ tour of some of the city’s historic highlights. Other highlights include several wonderful parks, Mount Lycabettus, trails around the Acropolis, and even some seaside running. Many of our routes incorporate Athens’ historic and archaeological sites . Those who like running hills will find great options in Athens! 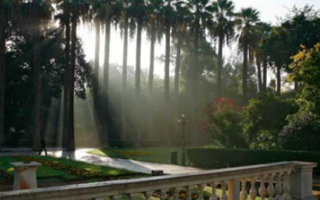 There are some great parks and green spaces within 15 km of the city, many reachable by train or metro. A note about running in Athens: this is a crowded city, with lots of traffic. Running on some of main roads might be challenging or not that pleasant, so seek out some of the routes we have pointed out. Also, remember that Athens is hilly…and HOT in the summer. 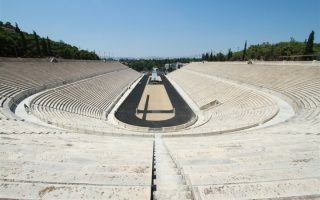 Athens hosted the 2004 Olympic Games, which led to major changes in the infrastructure: a new international airport, new metro lines and a regional highway were constructed, while, through the process of landscaping, millions of indigenous trees and shrubs were added to the region. A 'runseeing' tour of some of the most famous sites in Athens. National Gardens, Panathenaic Stadium, Acropolis, Temple of Zeus, Filopappou Hill, First Athens Cemetery. Full tour is 6.3 miles, shorter option ~5 miles. Go early! A green oasis in the heart of Athens. 2-3 miles of trails, passing several historic sites. Add-on by running the dirt track around the "Old Olympic Stadium". A great area for running in Athens. Combine the pedestrian-only streets that line the base of the Acropolis, and then head up the hill. Can be combined with Philopappou Hill, which has 2-3 miles of paths. The stadium dates back to the 4th century BC and was the site of the first 'modern' Olympic Games in 1896. It's a treat to run on the dirt track inside the stadium, or up and down the marble stairs. Across from National Gardens. One of the largest public parks in Athens, offering 2-3 miles of routes. Ekklisia Agios Charalampos, or Greek Orthodox Church is at the eastern end of the park. Paths are concrete or stone, with some dirt options. 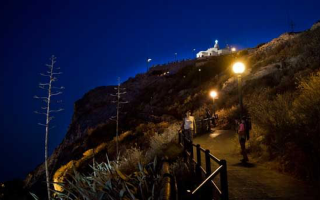 Mount Lycabettus is a distinct feature of Athens, rising 300 meters from the city. The best bet for most runners is the peripheral path around the hill, which is about 3km. One can also try the challenging ‘direct’ route up the hill. 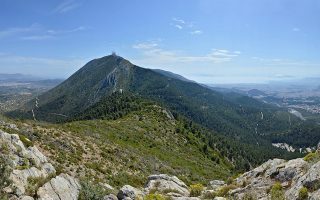 A great hill or trail running 18 km east of Athens. There is paved road, and numerous trails of varying challenge and terrain. There are historic monasteries, impressive caves, and unsurfaced forest roads barred to traffic. Tour the site of the 2004 Olympic Games! Combination of perimeter road around the complex, and some interior paths. 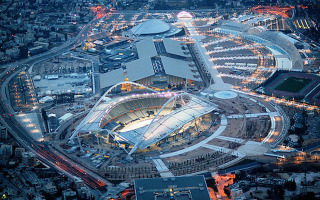 See the Olympic stadium, Velodrome, Aquatic Center. Area is 10km northeast of Athens. Wonderful seaside route. Best section is the 5+ km from the Flisvos Marina north to the Peace and Friendship Stadium. South toward Glyfada and Voula there are some great sections plus a tram allowing for a one-way run! Host to sailing and several events in the Olympics, has been turned into sports complex with multiple activities and facilities. There's a ~3 km waterfront path for runners. Can connect to path headed ~10 km north to Flisvos. This is a forest about 15 km northeast of Athens. There are 950 acres of trails, many of them wooded/shaded. 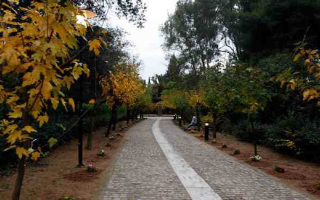 One of the best green spaces within some proximity to Athens, and great for running. The weather is generally mild. Summers are hot, but dry, with average high temps of 90F (32C) but can exceed 100F. There is not much rain during the summer months. In the winter the average temperature is around 9 ̊C and the levels of humidity go up. 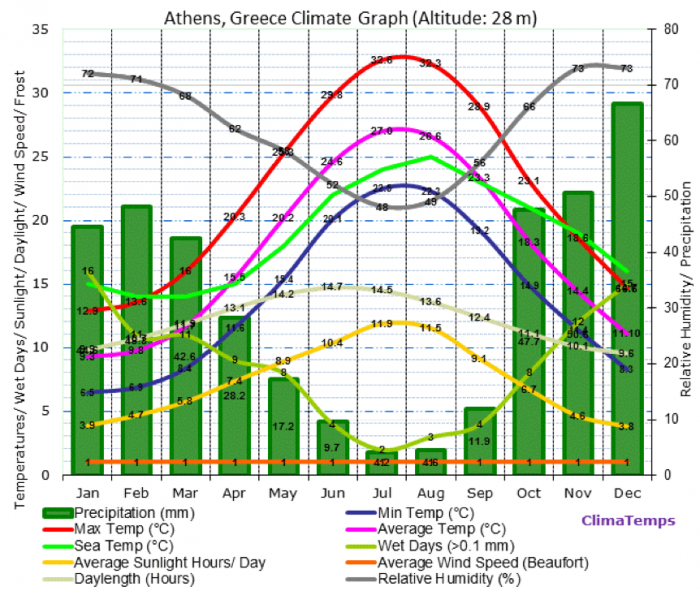 The average sunlight hours are enough even in the winter, so overall, Athens is a suitable place for running in terms of weather. Tip: The running experience is especially nice in April or May when the temperature is not extremely high and the nature is all bloomy. Athens is a popular tourist city, so there’s no shortage of hotels. Many are clustered in the area in between the National Gardens and the Acropolis. 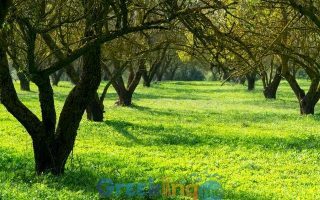 This area provides access to the best running around the major sites of Athens. 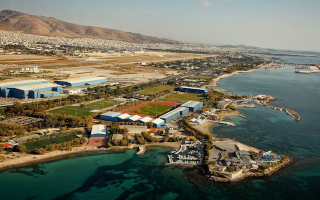 There is another cluster of hotels near the 2004 OIympics venue, and in the Marousi area, which is where several universities, the KAT hospital, and corporate offices (such as Microsoft) are located. There aren’t very many independent running stores in Athens. Best bets are the Nike store in the Syntagma Square shopping mall, and the Saucony store in the tony Kifisias neighborhood. Extreme Pro offers a range of sports equipment, including running gear. Pulse 100 is a dedicated running/cycling store, in the northern part of the city. Another store is Adventure Gear, centrally located. They sell all sorts of outdoor clothing and equipment and one could buy shoes there. 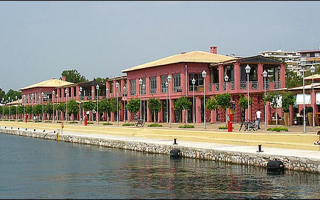 RunninGreece offers guided running tours in Athens and other areas. They also host several weekly free group runs, including an open training every Saturday morning in the National Gardens. Athens Authentic Marathon Second weekend of November. More than 40,000 people run the ‘authentic’ marathon starting in…Marathon and ending in Athens.